Caption slip reads: "Photographer: Gaze. Date: 1958-11-01. Reporter: Jack Massard. Assignment: Artist-sculptor team. 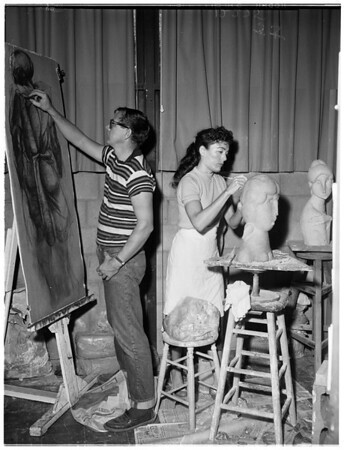 79: Jan (husband) and Kim Stussy, artist and sculptor, at home studio, 12444 Rochedale Lane, West Los Angeles."